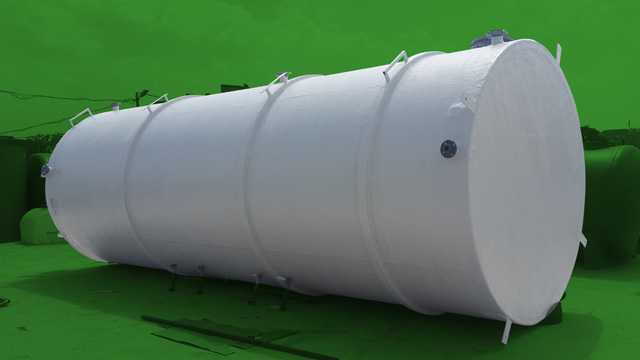 60m3 Fiberglass Vertical Water Tank, is produced for Akdeniz Kimya Company and it is delivered to facilities of Akdeniz Kimya in Izmir. 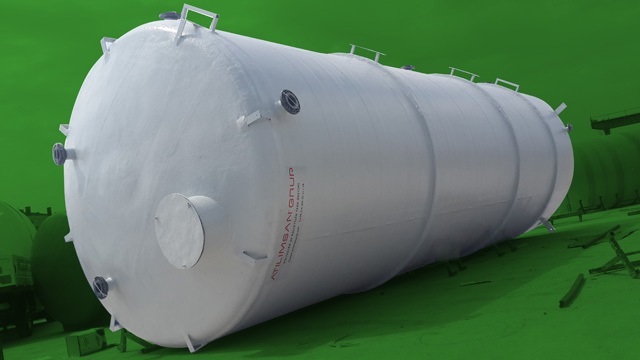 It has 9 meter height dimension and it is suitable for transportation with a truck. 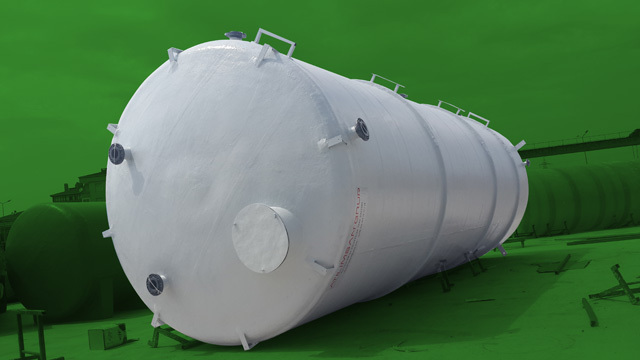 Tank has warranty for 5 years against to production defects. All tank inlets, outlets and other equipments technical details are drawn by authors of Akdeniz Co. and tank production is completed according to that drawing. Also all locations on tank for inlets and outlets are designed by Akdeniz Co. 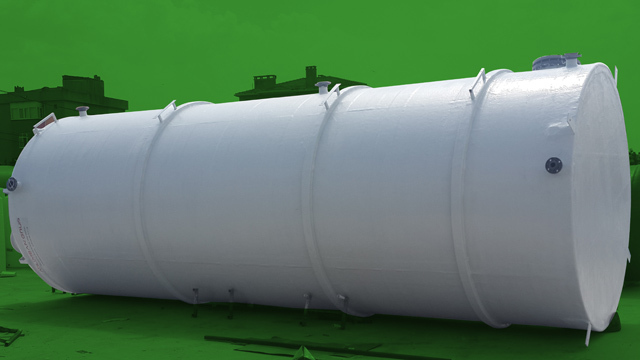 The colour of tank is preffered also by Akdeniz Co. Totally there are 10 pcs. inlets, outlets and manholes on tank. Also there is metal parts on tank for ladder connection and top of tank there are 8 pcs. support for metal guard. Ladder is sent separated from tank for transportation. Tank has 4 pcs. anchorage metal at the bottom of it. Production is completed according to the project of Akdeniz Co. 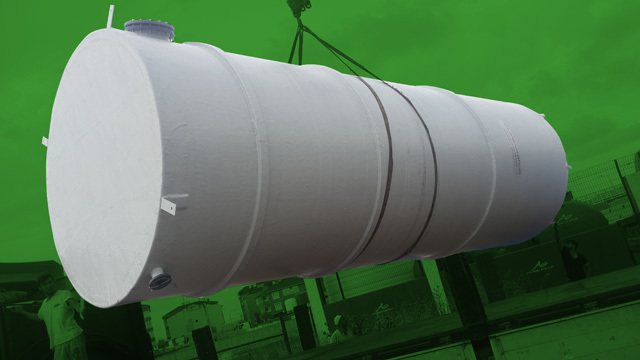 There are flanges on tank’ specific areas. Also there are 3 pcs. iron belt on tank for support. There are 4 pcs anchorage metals at the bottom side of tank. Because of tank’ height dimension is so high, it is required to fix tank to ground. These metals will help you for that. All dimensions of inlets and outlets are determined by Akdeniz Co. 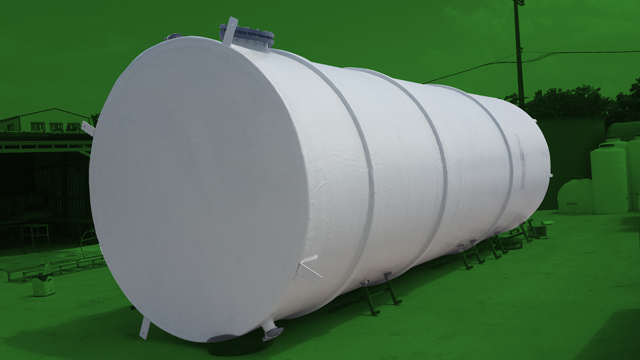 Tank design is drawn by Akdeniz Co.
On top of tank, there are 8 pcs. metal support for ladder guard. All outlets of tank are PVC flange. Install your tank on a concrete ground. Please be careful during unloading of tank. 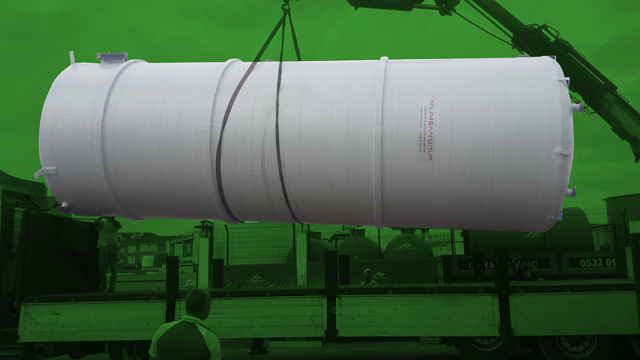 For big volume tanks, use crab for unloading. Don’t store any liquids except of water. 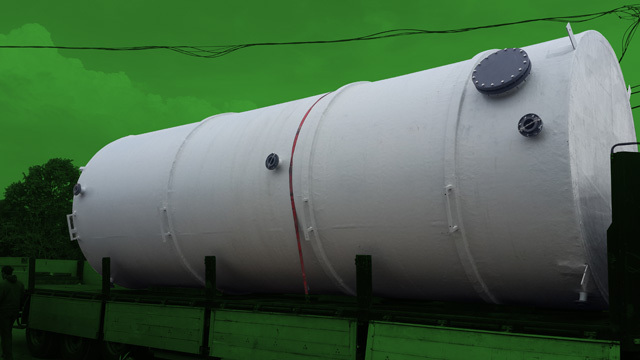 After install your tank, fix it with the help of anchorage metals.